After the meeting of the Jury on February 5-6, 2019 in Semarang, Indonesia, the finalist cartoons of the PAPB International Cartoon Festival were specified. 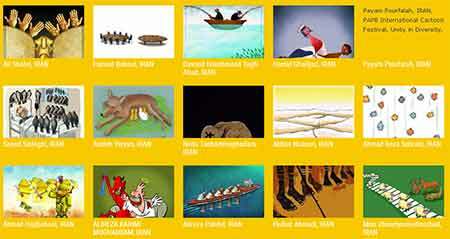 100 cartoons in the professional category and 47 cartoons in the student category were chosen for the final evaluation. The finalist cartoons will be displayed on the organization website between Februariry 8 and 16, 2019 before the announcement of the winners on February 17, 2019. When you see any similar, copy cartoon/s or received an award before, and any fraud cartoon/s among the finalist cartoons, please write to organizing committee. Any objections to authenticity will be considered until February 16, 2019.